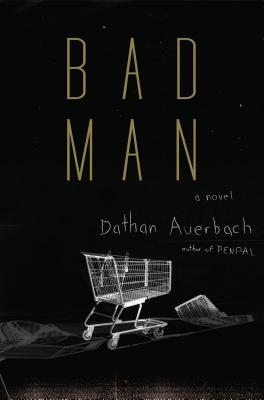 Reddit horror sensation Dathan Auerbach delivers a devilishly dark novel about a young boy who goes missing, and the brother who won't stop looking for him. Eric disappeared when he was three years old. Ben looked away for only a second at the grocery store, but that was all it took. His brother was gone. Vanished right into the sticky air of the Florida Panhandle. They say you've got only a couple days to find a missing person. Forty-eight hours to conduct searches, knock on doors, and talk to witnesses. Two days to tear the world apart if there's any chance of putting yours back together. That's your window. That window closed five years ago, leaving Ben's life in ruins. He still looks for his brother. Still searches, while his stepmother sits and waits and whispers for Eric, refusing to leave the house that Ben's father can no longer afford. Now twenty and desperate for work, Ben takes a night stock job at the only place that will have him: the store that blinked Eric out of existence. Ben can feel that there's something wrong there. With the people. With his boss. With the graffitied baler that shudders and moans and beckons. There's something wrong with the air itself. He knows he's in the right place now. That the store has much to tell him. So he keeps searching. Keeps looking for his baby brother, while missing the most important message of all. That he should have stopped looking. DATHAN AUERBACH was born in the southern U.S. and has lived there for most of his life. In 2011, he began posting a series of stories to a forum dedicated to horror. After a Kickstarter campaign that raised over 1000% of its goal, he was able to release the revised and expanded versions of his story as the novel Penpal. "Bad Man will slowly but surely creep you out. . . . [Auerbach] wrings terror out of the every day and every night of the semi-urban Florida Panhandle and makes the world stop for the time it takes to read this work."